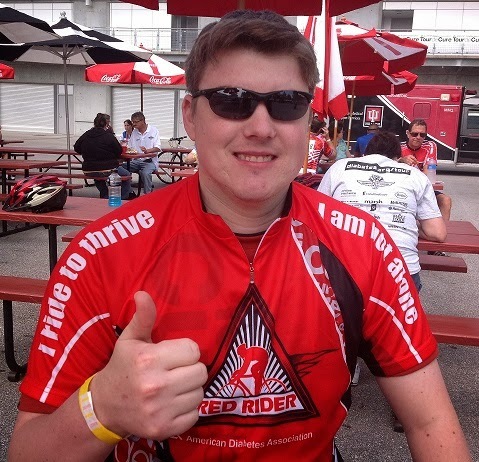 I've expressed my fondness and support for the Diabetes Online Community many times. This community is, to be all cliche-heavy, an inspirational and life-changing community full of amazing people. But every once in a while, it serves us all well to step back and realize: Not everyone needs this DOC. They simply don't need or want what it offers, whether it be the personal connections or networking or world-changing advocacy. Those fellow Persons with Diabetes who do fine managing without the camaraderie displayed in the DOC. And that's cool. Nothing wrong with that. 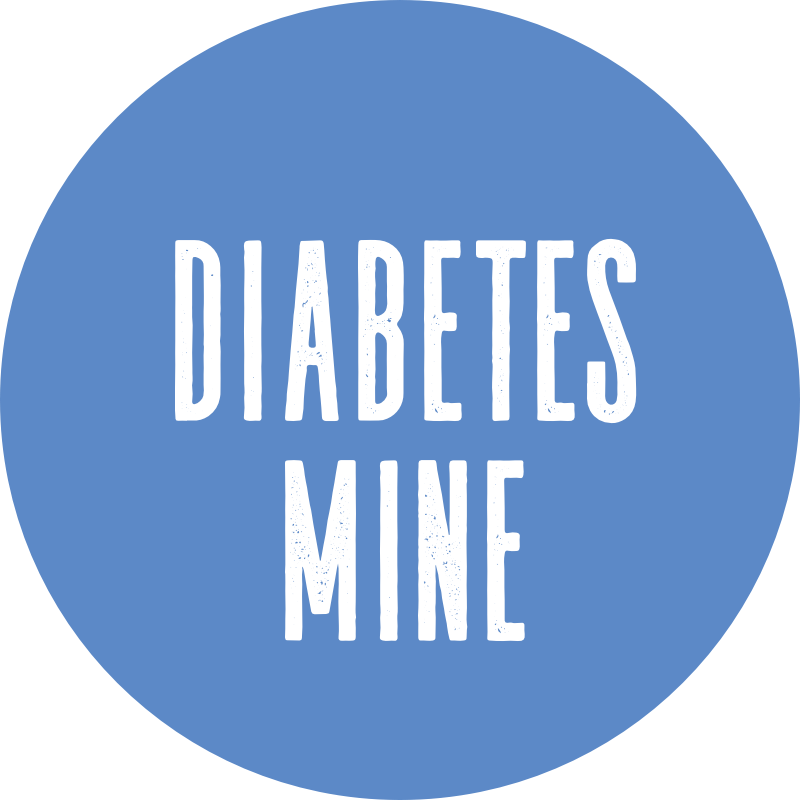 Some say they don't have the same struggles that many of us do, or that they don't need to tell others about their lives with diabetes. They deal with the daily D-Life situations on their own terms, on their own, in their own way. Without having to discuss it or educate or advocate to others. I used to be that way. For most of my life, actually. I didn't know I really needed the support until I found it, and now it's difficult to imagine life without these individuals who make up this amazing community. We share honestly and do what we can for ourselves and anyone else who might be reading. There's a personally fulfilling sense of importance that I see in that. While it's important for us within this community to recognize the DOC isn't for everyone, I think it's also important for those non-DOC folk to recognize the significance these friendships and story-telling experiences have on us. One way isn't better - they're just different and we're all doing what we think is best for us. No one is perfect, and we all make mistakes and can learn from others. I learn a lot from my friends, find little tips and tidbits that end up benefiting my life. But just the same, many things don't work for me and I have no interest in adopting as my own. It goes to the phrase, Your Diabetes May Vary. It's important to recognize and respect that mantra. Belittling someone's views doesn't help anyone, and it certainly doesn't help make your point seem valid. It just clutters the community discussion with negativity. If someone doesn't support your views and ideas, that doesn't mean he or she is wrong. There's no need to belittle each other, to bring personal attacks into a discussion simply because we have an issue with another person's perspective. That's just not what this is all about. Sadly, the lines can become very blurred when it comes to personal blogs. These are places that allow us to say what we feel, where we basically don't have to censor ourselves and can "say it like it is" without holding back... Honest and open communication that takes on a life of its own. The power we have is being open, welcoming, and embracing of all views whether we agree or not. There's always the potential to criticize and be negative, voicing our opinions behind a computer screen. But hopefully we can rise above that, and respect the idea of a community whether we're a part of one or not. After all, we all live on this same hunk of rock in the middle of space and breath the same air. All very true. And, not everybody that needs the DOC will need it forever. I've often wondered how it came about that the Twitter wing of the DOC, at least, is so close to acrimony free. I'm inclined to believe it's a reflection of people like you, George, Kelly Kunik, Cherise, Scott Johnson, and so many others being of the nature to desire to welcome everyone and treat them well. Nice post, got me thinking. Like the part on respect, I try to walk in other shoes before I react. But sometimes being over stressed blurs my judgement, so I remind my self all the time to think first. I found the DOC by accident, I got on Twitter and found others who had diabetes or had children with it. Has helped me a lot. Thanks for sharing! I agree. Regardless of the issues in question,public name smearing is completely distasteful & if someone had an issue with whatever I was saying, I'd prefer they not trash the reputation of the OC in the process. It's a good place,& it's helped many hundreds(if not thousands) of people with diabetes. While many PWDs benefit from the D-OC camaraderie, its conceivable there is a perception among some that there may be a bit of prosthelytizing going on, too. The way I look at it, it's my blog (and they're my Tweets), and I didn't send out personal invitations for anyone to go reading although I don't hide them, either. But if people don't like what I write, they can stop following anytime. However, I never take any of it personally, and I don't think the forum is ideal for naming individuals, and smearing names is not really in the spirit of the larger community. The Golden Rule of the D-OC: Do unto others as you would have them do unto you. There are many people who weave in and out of various aspects of the DOC...others who enjoy keeping up with each other more regularly...and still others who would rather have nothing to do with any of it. What a world this would be if people would just follow the Golden Rule that Scott mentioned! Very well said! I, for one, wold be lost without the support I've found in the DOC! But I respect that that is not the case for evyone. I wish everyone would just show some respect for each other. Our differences only divide us if we let them! I love being on the outcast of the DOC. It lets me connect better with the real people looking for help with diabetes. It takes someone who is not in the click to understand what and who the click leaves out. I echo your sentiments. This cozy blanket of the DOC isn't for all. Storming into someones blog and being hurtful serves no helpful purpose. Lifting up...that is my DOC. And I love it! The person is a troll with an extreme egomania complex. Her supportive buddies are manic-depressive, approval seeking chumps. All it takes is reading through THEIR blogs for a second or two, to sift through the BS. Hers was not the blog post of a person in disagreement; it was the blog post of a jaded individual, hiding behind their veil of "why can't I be the one getting all the attention, boo hoo, I have been diagnosed just as long... and look my A1C... here's the awards everyone ELSE has given me... where are my stars and cookies... boo hoo..." Kerri just happened to be the week's unfortunate victim of choice. This person does not deserve ANY blog posts from anyone in our community. Perfectly said... I love the DOC, but I remain on the outskirts. I'm not on facebook and I don't twitter (tweet? I don't even know the right term). Blogging is good enough for me. I just don't get the hate that is out there. Live and let live. I think it's okay to point out mistakes (hey we're human and we all make them... right? ), but to do it in a hateful manner is just plain ugly and uncalled for. very well said, sir! as long as we all respect each other, we don't have to agree. and i'm with scott s too! golden rule. The DOC is great place with great people and it will always be a source of strength for me to those who don't know any better I honestly feel sorry for them.. I stopped reading blogs (apart from the odd one like this one, to which I was referred by a friend), and I don't tweet for this very reason. I am active on FB because I'm an expat, and it's the most useful and effective way to keep in touch with friends and family in the UK. But I keep my FB diabetes-free as far as possible. People don't need to know about how I and my family deal with diabetes and I have no wish to inflict it on them. I have found the DOC to be negative and hurtful, and it ended up bringing diabetes so far to the forefront of my life that I was getting burnout. We are a family with two T1s and are definitely of the "back-off" school - which isn't for everyone, but works for us! I was glad to have found the DOC at first, and I made many very good friends initially, with some of whom I will always keep in touch, but going forwards I won't be encouraging my T1 little girl to "join" the DOC or read blogs. My T1 husband thoroughly disapproves! Maybe it's because we are British, but the sharing and venting thing just doesn't do it for me. But, each to their own. I am happy that the DOC brings so much support, happiness and sharing to so many people - that's great. If my daughter wants to be part of it when she's older, then she can do so with my blessing. It's just not for me! Mike, this is an excellent post, and serves to help us all remember what we learned in kindergarten, to respect our playmates - to play nicely and to share. That about sums it up. Of course, the DOC is not for all - for some it works better within a framed community interface, such as TuDiabetes (after all, this is online too), but is a little more structured. For others, FB is their calling. For even more, real life and in person works. But we shall not forget we are all cats of the same kind - we just bear different stripes, and what works for one is different for another - and that's where the respect comes in. I know I'm not saying anything different from anyone else. This is a life lesson that plays out again and again, and we need to sometimes be reminded.